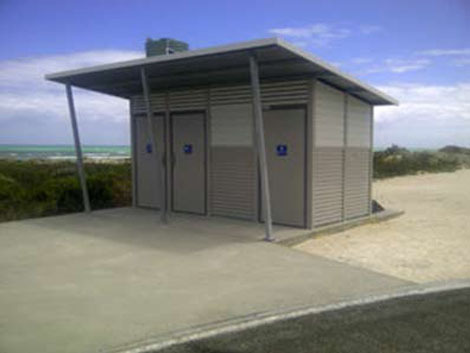 Terrain Group partnered with the District of Grant Council in Mount Gambier South Australia to supply and install a toilet block at Browns Bay. At the present time, the 6.3km long stretch of remote beach at Brown’s Bay had no restroom facilities for visitors who came to the region for swimming, ﬁshing and camping. 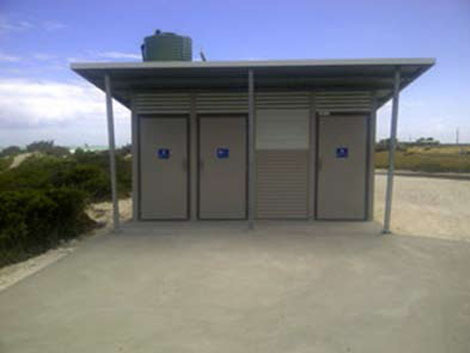 The Grant Council contacted Terrain to supply and install a toilet block that was stylish, robust and can withstand different environments. Terrain suggested the Yarra toilet building with the Enviro Loo Composting System, both for their features and versatility. Sourced through Modus Australia, the Yarra required little maintenance and has a distinctive skillion style rooﬂine – a ﬂexible design that integrates seamlessly into any environment. The Enviro-Loo dry sanitation system breaks down human waste and toilet paper through a natural process into an inoffensive compost-like material. It utilises radiant heat from the sun which is absorbed through the top of the black polyethylene tank and the movement of air to stimulate the activity or aerobic bacteria to stabilise the human waste. Terrain coordinated the project with the Adrian Schutz from the District of Grant Council. Due to there being no power or water on site, preparation was key for the success of this project. Terrain assisted with the installation, at no cost, as this was the council’s ﬁrst unit. Adrian and the team later informed Terrain how impressed they were with how streamlined the process was. The District of Grant Council was “very pleased” with both Terrain’s process and the end result. 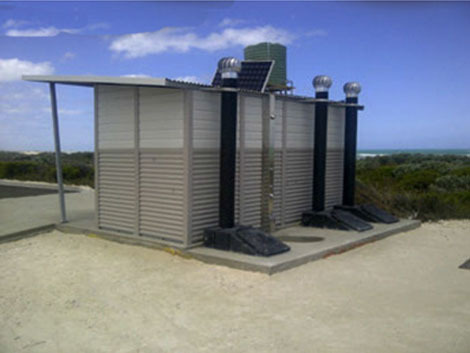 The toilet is well used and offers visitors to the coastal area a modern all-access restroom.